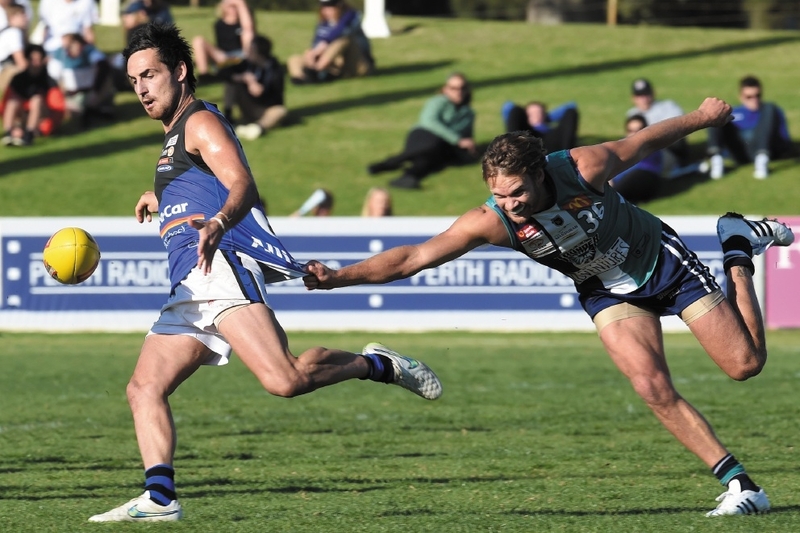 Despite welcoming back key players, including skipper Brendon Jones, Peel Thunder were not strong enough to defeat last year�s grand finalists East Perth. The clash was a western derby of sorts � East Perth are a feeder club for the West Coast Eagles and Peel Thunder the feeder club for the Fremantle Dockers. Reaching the semifinal was a historic moment for Peel as the club has struggled to achieve any sort of dominance in the competition since forming in 1996. Last year, the club secured a deal to serve as the Fremantle Dockers� host club, allowing Dockers reserves players to play WAFL football for Peel. An opening goal by Jones got the match off to a flying start for Thunder. Jones has played more than 100 games for Peel, yet this was his first home qualifying final with the club. Fremantle midfielder Ed Langdon and Jack Hannath also put goals on the board for Peel and boosted home crowd hopes for a Thunder win. Peel dominated the first quarter and they led by 12 points going into the second. But the lead wasn�t to last and they only scored a single behind to trail East Perth by five points at half-time. Matthew Taberner�s three goals for Peel in the third quarter were not enough to combat multiples kicked by East Perth�s Jarrad Oakley-Nicholls and Tom Lamb. Taberner was determined to get Peel in the lead in the fourth and he kicked two more goals. His goals got Peel within 15 points of the lead at one point and he proved to be a standout forward for the home side. But a Cinderella story it was not to be for Peel Thunder and they were defeated 9.8 (62) to East Perth 10.24 (84). It was a different story for the Peel Thunder Colts side. They smashed the West Perth Falcons by 43 points at Rushton Park on Sunday, Peel Thunder Colts 19.8 (122) to East Perth 12.7 (79).